Go to his photos. Two groups, go to second group of 7. Last photo. Photo is too small to see bills in his hands. Are they tens, twentys, fiftys? If real, where did he get all that money? I assure you not at Quick Trip. Looks like his shirt says "shady"
Are we to believe someone just walked out of the house with a baby? No diapers, food or clothing? Nothing else missing except cell phones. This was very carefully planned or an opportunity of chance was seized. Not sure if all the bills are the same....but I see Benjamin Franklin.....$100.00 bill. Looks like Ben Franklin on those bills. They are also extremely crisp and wrinkle free. I zoomed in with thumbsplus. Quick Trip to deliver drugs ? John Picerno, the new attorney for Deborah Bradley and Jeremy Irwin, arrives at the home on Walrond to meet with the family. When the description that neighbor Lisa provides of 12:15 AM sighting is considered and ... then when the identification provided of motorcyclist Mike Thompson regarding the 4:00 AM sighting is considered ... could it be that the male carry the baby was Jeremy? What was the actual time that Jeremy arrived home a short time following neighbor Amanda's departure. Was Jeremy contacted by Debra after something bad happened to his daughter through an act of rage/frustration? Could baby Lisa have been administered an overdose of medication? Did Jeremy place himself in various locations in an attempt to further an abduction fabrication/staging? UNIDENTIFIED FEMALE: We seen a gentleman walking up the street, carrying a baby. He was wearing, like, a dark-colored pants and what we believe was a T-shirt. He had the baby in his arms, and he had the baby`s head kind of like this. I maintain my position that neighbour Lisa's description as well as Mike Thompson's identification of the man carrying the baby implicates Jeremy Irwin in the staging of an abduction fabrication. Will these sightings be the smoke gun that will move this case forward? MIKE THOMPSON, SAW MAN CARRYING BABY (via telephone): OK. I was coming down 435 and I exited on 48th Street. As I was pulling up to the 48th Street, I seen a man walking, carrying something. And when I got closer, I seen it was a baby. And I stopped about 30, 40 foot from him. He was going down Randolph. And I stopped, and he turned around and looked at me, and I looked at him. And I just went on. But I was thinking, What an idiot out there with a baby with no blanket, no coat, in diapers and a T-shirt as cold as it was. Anyway, and then I went on down to my cousin`s house. VELEZ-MITCHELL: Now, eventually, you were shown photographs. We do not want to identify in any way, shape or form the individual that you picked out of a group of photographs, except to say that this is a person who reportedly lives in the neighborhood. That being said, what happened vis-a-vis these photographs, Mike? VELEZ-MITCHELL: So you ended up with cops. And what happened with that, with cops, the photographs and you? Tell us about that. THOMPSON: Well, now, I went down to the police station or whatever it was, and they showed me a kind of a line-up picture with six guys on it. And I picked him out of the six because that was the man I seen. And they thanked me, and that was it. Not Philip! Not Jersey/John Taco! SHERYL, CALLED FROM OHIO: Hi, Jane. Excuse me. My question would be, the -- the gentleman that Mr. Thompson saw carrying the baby, does his description fit either the uncle or Jersey? VELEZ-MITCHELL: We don`t know, but I`ll throw it out to Jim Spellman. SPELLMAN: He does not resemble the brother at all. The brother is much younger, different build, doesn`t match at all. There is some similarity between the other descriptions of sightings of people. I just want to say, Jane, to be very clear that the man that Mike Thompson identified is not Jersey, is not Mike Tanko. And I showed Mike Thompson a photograph of John Tanko, the man known as Jersey and he said no that`s the guy -- not the guy. I`ve never seen him before. I want to sure that nobody takes that implication away that it`s John Tanko that has been identified. VELEZ-MITCHELL: OK. SO we want to be very, very clear about that, that the man that Mike Thompson identified as a mystery man carrying a baby is not the man known as "Jersey." Very good to stress that and point that out. I am wondering if they showed Thompson the shaved head photo or a previous shaggy head one. Looks like several thousand dollars. Can't imagine why anyone his age or any age, would have that much cash in hand. It keeps changing and getting weirder. I smell lawyers trying to muck up a police investigation. -Jeremy Irwin arrives home from work as an electrician, but must return later to work overtime. -Neighbor checks in on Baby Lisa’s crib and finds her apparently fine. -Deborah Bradley and her brother go to a supermarket to purchase baby food and a box of wine. Jeremy Irwin stayed home with children. -Deborah Bradley returns from store with wine and baby food. -Family finances are stressed, so Jeremy Irwin returns to work overtime as an electrician at a Starbucks. -Neighbor, who checked on baby earlier returns for a moment, then leaves to purchase additional alcohol. 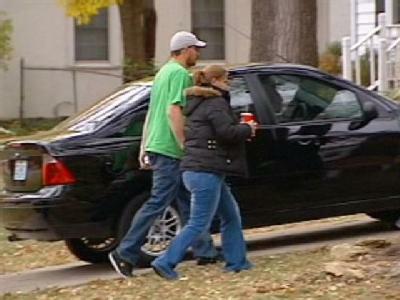 -Neighbor returns and neighbor’s daughter sees Baby Lisa apparently safe. -Deborah Bradley puts Lisa in crib. Why is the neighbor checking on Lisa so much? That struck me as odd too. Perhaps the neighbor was checking the status of the sick baby to determine if her "plan" could go through. What I mean by "plan" is that perhaps she concocted a kidnapping plot for her own gain and she had others involved. Her job was to get DB as drunk as possible and then alert the others once the lights went out. Then the baby was quietly taken from her crib. And part of the plan is to keep baby Lisa safe and then collect the reward money. I wish this was true because it would mean we have a Lisa that is alive. And this theory would explain DB's fishy behavior due to her shame at being so drunk that night. MOO. Theory is not crazy, but remember, DB has no shame. She even went so far as to say she had a right to adult time, getting drunk after her kids were in bed. No guilt...no shame. Almost like she was proud of the fact. According to my interpretation of this last rendition of this fairy tale,http://www.bnd.com/2011/11/02/1925029/details-emerge-about-what-the.html#ixzz1cXhHMXK1 JI passed by Lisa's closed door three times, checking on sons and wife, before becoming alarmed enough to check on baby. If that makes sense to anyone, please seek serious mental help. 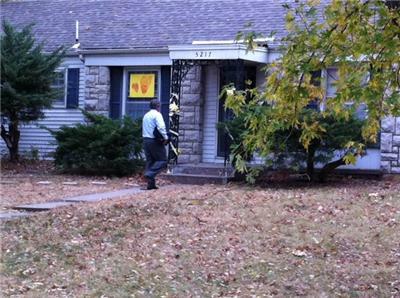 Is that the house they refer to as the one in which he "squat"http://www.kctv5.com/story/15930233/day-30-new-information-in-case-of-missing-baby? If so, he did more than squat, he received mail. The post office will not deliver mail to an address until you fill out either a change of address to a new address or an occupancy form. For those better with Google Maps than I am, where is this house in relation to the Bradley/Irwin residence? Definitely 100 dollar bills, at least the ones visible are. 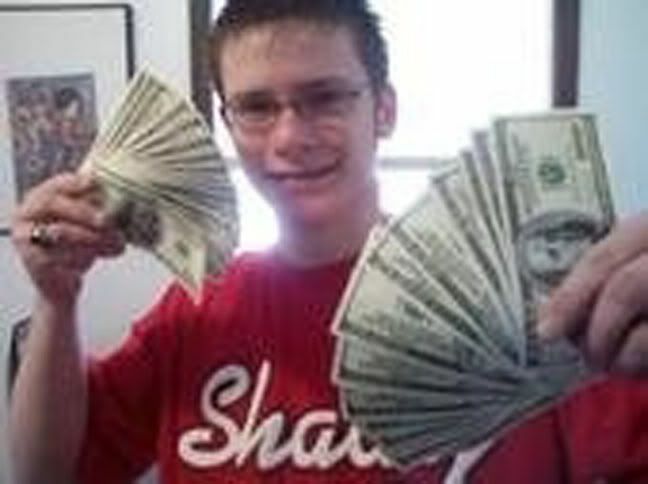 So Jeremy is working 2 jobs to pay bills and this kid is waving around cash? Something doesn't fit. Phone call, dog doesn't bark. IF deb was drunk, wouldn't the cop/cops tell by talking to her that morning, what 4:45,5am?? On his fb he only lists two favorite activities; an environmental blog and Quick Trip. Some of his friends work either part time or full time at Quick Trip. Page created in 2.176 seconds with 19 queries.